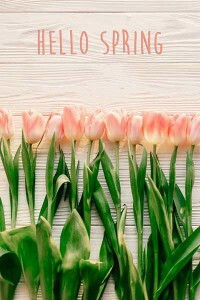 It’s the Beginning of Spring on March 20! Put away your winter coats and schedule that pedicure! Get out the barbecue and dust off your bike because spring officially arrives in Washington on March 20. While we’re happy to see winter go and excited for the new things that spring will bring, there are a few things we need to address beforehand to keep your family healthy this season. Over the winter, you probably kept your doors and windows tightly shut to ensure efficient heating. 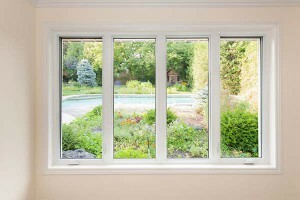 In spring, our tendency is to throw open the windows and let some fresh air inside. However, by doing that you could be stirring up months of dust and allergens that have been cooped up inside your home. In addition to spring-cleaning, the best way to fight allergies in your home is with timely HVAC maintenance. Cleaning your ducts, replacing your air filter and making sure your AC system is clean and ready for summer is a vital part of spring-cleaning and maintenance. By getting this task done early, you won’t worry about it and when the temperature rises, you can simply turn on your AC without wondering what might happen. 1. Keep your doors and windows closed during peak pollen times. The pollen count is usually at its height between the hours of 5 a.m. and 10 a.m.
2. Change your clothes or take a shower after being outside. 3. Keep your windows closed when it’s windy because there is a greater chance of pollen blowing into your home. 4. Invest in annual duct cleaning services. 5. Get a UV air sanitizer to clean the air. 6. Vacuum the floors or mop them on a regular basis. 7. Always make your bed, so dust and pollen do not settle in your sheets. 8. Depending on the unique needs in your home, invest in a dehumidifier or whole-house humidifier to help ease allergy symptoms. 1. 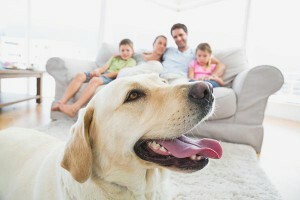 Keep your dog or cat off the couch and other furniture to limit the areas where their hair collects. 2. Get your dogs groomed and brush the cats to reduce shedding. 3. Feed your animals fish oil supplements if the vet recommends it. This supplement prevents dandruff and has been known to help reduce shedding. 4. Vacuum and dust on a regular basis. 5. Invest in air filter replacement on a regular basis. Call 703-765-9400 for easy and reliable heating and cooling services in Washington, DC today. The experts at Cyprus Air Heating and Cooling have all your needs covered.